"No society can legitimately call itself civilized if a sick person is denied medical aid because of lack of means". Aneurin Bevan. Let's expand on the term 'means tests' and how this relates to the health secretary's new responsibility for social care. Currently social care is 'means tested' , so if you’re looking at getting some social care, such as help at home, home adaptations or a care home place, and you exceed a certain income or have savings above a certain threshold then you must pay for it. Integrating social care into the NHS runs the risk that eligibility to NHS medicines and treatment, as with social care, would become 'means-tested'. Hunt, knowing this, intends to do just that and pool his NHS budget to cover social care then roll it out under the American style accountable care organisations (after all - he appointed Simon Stevens, ex vice-president of the largest private health insurer in the USA to head NHS England to further the cause). The proposed STP reforms intend creating a two-tier system to do just that - split the NHS into a private-public partnership as with medicare in the U.S.A. It will look at your income, savings and property (if you need to move into a permanent care home) to calculate how much you need to contribute towards the cost of your care and support. Those who can afford certain treatments or procedures on their insurers (CCGs) list* will be seen prompt and jump the queue. 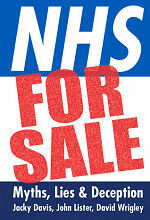 Those who can't will have to wait and put up with a very bare healthcare system which will dwindle as years go by. *It's anticipated commissioning will be done wholly by CSUs (Commissioning Support Units) and CCGs will continue to further ration healthcare under their existing policies (but this depends on how each Accountable Care System evolves). 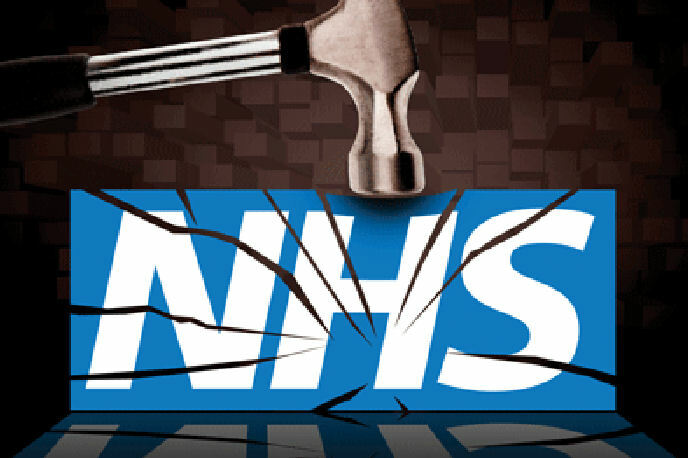 Clinical Commissioning Groups, underfunded by NHS England are resorting to clinical policies that restrict or deny patients certain treatments (as with HMO private insurers in the states). It starts with the small items, then moves onto cateracts, hip replacements, full or partial knee ops etc. Patients who are now referred by their GP for certain procedures in the CCGs expanding restricted list must now go cap-in-hand and apply for an "Individual funding request". Patients will eventually be encouraged to make 'co-payments' towards their procedure or take out insurance in case something goes wrong with you or your loved ones.